Looking for an adjective to describe the 2016 Rolex 24? “New” would do nicely. From regulations to drivers to the venue to the cars to the name of the series itself, new is what’s new at Daytona International Speedway this weekend. The 54th running of the Rolex will begin Saturday afternoon and will feature a full field 54 cars scattered through four sports car classes. As usual, the field will be packed with the biggest stars in North American sports car racing and will be spiked with big-name drivers from such other racing series as NASCAR and Verizon IndyCar. Joining in will be a host of former F1 stars and some of Europe’s sports car greats. 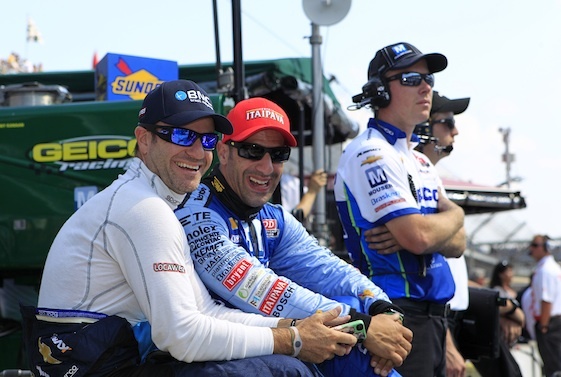 The 2015 overall champions –Scott Dixon and fellow IndyCar driver Tony Kanaan, joined by NASCAR stars Jamie McMurray and Kyle Larson driving the No. 02 Ford Chip Ganassi Racing Riley DP car – are back in the quest to repeat. Also in the field will be the 2015 Tudor United SportsCar Challenge (newly renamed the WeatherTech United SportCar Championship for the upcoming season) season champions in the prototype class; the No. 5 Action Express DP Corvette. That car will be driven by regulars Joao Barbosa and Christian Fittipaldi, along with Audi factory wheelman Filipe Albuquerque. 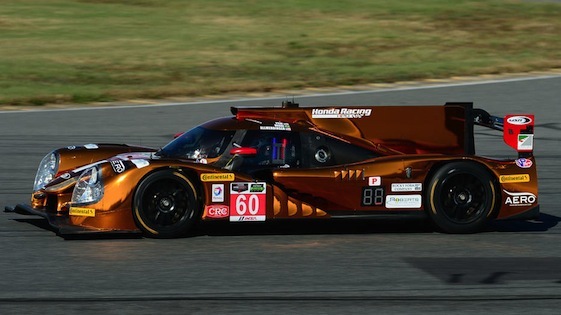 Michael Shank Racing’s Honda Ligier was super fast at the Roar Before the Daytona 24.
the Honda-powered Ligiers could end the reign of the DP cars this weekend and this year. The Ligier JS P2 Hondas from Tequila Patron ESM and Michael Shank Racing were super quick at the Roar Before the 24 open test earlier in the month. Then there is the the BR Engineering BR01 Nissan from Russian squad SMP, which won the pole in the prototype class during a rain inundated qualifying session on Thursday. An old face will be in a new place this weekend as five-time overall winner Scott Pruett has moved from Ganass’s team to Action Express. A sixth victory on Sunday would move him out of a tie with Hurley Haywood as the Rolex’s all-time winningest P driver. Also among those competing in the P class will be No. 90 Visit Florida Racing entry of Ryan Dalziel, Marc Goossens and 2014 Indy 500 winner Ryan Hunter-Reay; the No. 10 Konica Minolta Corvette DP of brothers Ricky and Jordan Taylor with 2005 Rolex 24 winner Max Angelelli and former F1 star Rubens Barrichello. 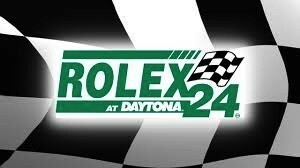 Barrichello is new to the Rolex 24.
career victories and 68 podium finishes, as well as 14 pole qualifying positions. Barrichello’s 658 career points earned is the 11th-best total in Formula 1 history, the bulk of which came during the 2000 through 2005 seasons spent with the Ferrari team as teammate to Michael Schumacher. The 2016 race will be the last Rolex for the current generation of DP vehicles as a new era for Prototype racing begins in 2017. Next year, the Prototype type class will showcase a new car based on international LM P2 specifications known as Daytona Prototype international (DPi) cars, which will feature involvement from multiple manufacturers. Some of the most highly anticipated new things will come courtesy of the GP classes. Arguably the most anticipated new thing will be the debut of the Ford GT in the GT Le Mans class. Ganassi’s team will field the Ford GTs, which are tributes to the Ford GT 40s which dominated the Le Mans 24 hour race in the mid-1960s. 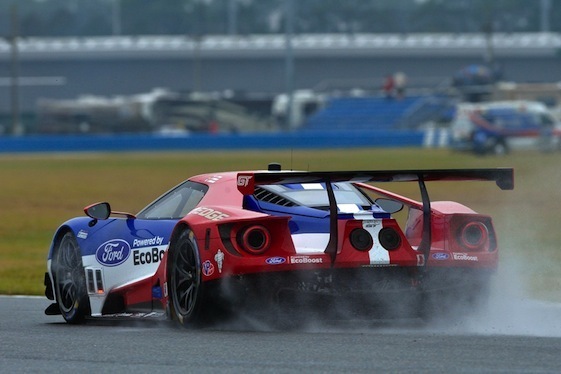 The Ford GT will make its world debut this weekend in the Rolex 24 at Daytona. drive the two Multimatic-built Fords. The new cars have shown impressive speed in practices. Rag Nair, Executive Vice President for Product Development and Chief Technical Officer, Ford Motor Company, was recently asked about his expectations for the GT at Daytona. It was pointed out to Nair that his new sports cars will be going against the greatest marques in the world at Daytona and beyond – the team will continue race the Fords in the World Endurance Championship and IMSA this year and will, yes, be back at Le Mans. BMW will also sport a new look in the GTLM class as it is replacing the Z4s with M6s at Team RLL. Ferrari is sending over three factory-supported teams to debut the Ferrari 488 GTE turbos. If early results are indicative, the GTLM entrants will be chasing upgraded Porsche 911 RSRs and upgraded Corvette C7.Rs. Piloting the Porsches will be defending GTLM champion Patrick Pilet and 24 Le Mans winner and fellow Petit Le Mans overall winner Nick Tandy. 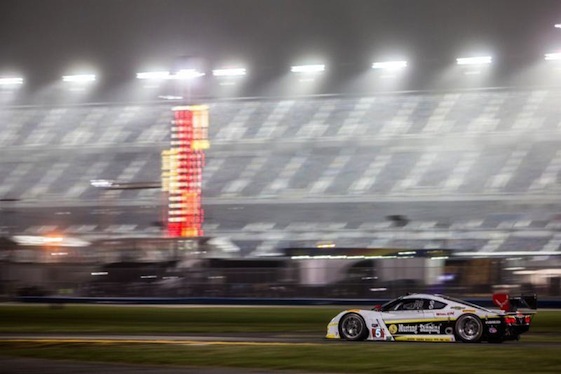 Corvette has rented Audi factory drivers Mike Rockenfeller and Marcel Fassler for Daytona. The big news in GT Daytona may be the switch to FIA GT3-specs. In all seven manufacturers will field 22 cars in the class this weekend. Lamborghini will debut in the class – and the 24 – with five Huracan GT3s. 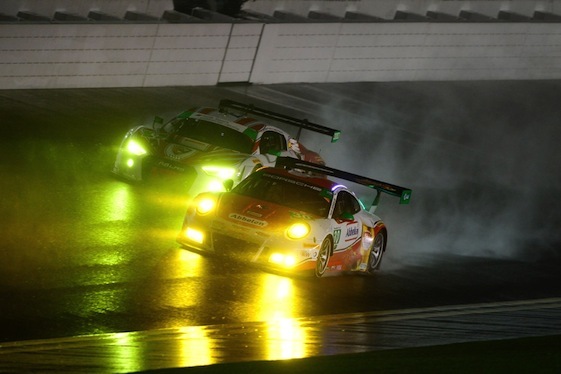 Porsches and Audis will battle each other in the GTD class this weekend. Racing and Park Place Motorsports. Turner Motorsports will move to the BMW M6 GT3. Also in the field will be Audi R8 LMS car, Dodge Viper GT3-Rs and Aston Martin V12 Vantage GT3s. This year’s race will mark the christening of the renovated Daytona International Speedway facility. The updating of the speedway, which cost $400 million, features vastly improved fan amenities. International Speedway Corporation CEO Lesa Kennedy and Jim France, vice chairman and executive vice president of NASCAR, officially opened the new DIS – which was updated under the name Daytona Rising – this week. For complete list of IMSA regulations for 2016, click on the following: http://www.imsa.com/2016-imsa-rules-and-regulations.